Oklahoma junior cornerback Tre Brown is from Tulsa, Oklahoma. Brown is one of many OU players to be Sooner born and bred. Weâ&#x20AC;&#x2122;re IDEA Public Schools, and weâ&#x20AC;&#x2122;re hiring people just like you. People who are driven to innovate and collaborate to change education for the better. People who donâ&#x20AC;&#x2122;t settle for the status quo. People who have high expectations for themselves and thrive in a high-growth, high-reward environment. And most importantly, people who are united in the belief that every child has the potential to succeed in college and in life. By 2022, weâ&#x20AC;&#x2122;ll serve 100,000 students at 173 schools across ten regions. As we grow, you grow â&#x20AC;&#x201C; at IDEA, your professional potential is limitless. Explore your future at ideapublicshools.org/careers. Join our community at fb.com/IDEACareers. in the city with OSU-OKC! The Environmental Working Group’s website shows that Norman’s water is above recommended safety standards for chromium. 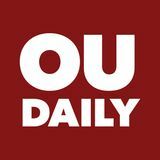 The Oklahoma Van Vleet Oval Daily is a public forum, the University of Oklahoma’s independent student voice and an entirely student-run publication. Letters should concentrate on issues, not personalities, and must be fewer than 250 words, typed and signed by the author(s). Letters will be edited for accuracy, space and style. Students must list their major and classification. To submit letters, email dailyopinion@ou.edu. Our View is the voice of the Editorial Board, which consists of student editors. The board meets at 4:30 p.m. Monday to Thursday in Copeland Hall, Room 160. Board meetings are open to the public. Guest columns are accepted and printed at the editor’s discretion. Columnists’ and cartoonists’ opinions are their own and not necessarily the views or opinions of The Oklahoma Daily Editorial Board. To advertise in The Oklahoma Daily, contact the advertising manager by calling 405-325-8964 or emailing dailyads@ ou.edu. One free copy of The Daily is available to members of the OU community. Additional copies may be purchased for 25 cents by contacting The Daily business office at 405325-2522. Corrections: Corrections: The The Daily Daily is is committed to to accuracy accuracy committed in its its publications. publications. If If in you you find find an an error error in in a a story, story, email email dailynews@ dailynews@ ou.edu or or visit visit oudaily. oudaily. ou.edu com/corrections to com/site/corrections submit correction .html toasubmit a form. correction form. Mechanical engineering sophomore Bryce Barker, electrical engineering sophomore Joshua Gonzales and mechanical engineering senior Jiaze Gao attach a support to the Sooner Rover. A f t e r w i n n i n g R A S CAL , the team received a large research grant to research and design rovers for the moon, and Rovie McRoverface is assisting in university research of 3D imaging. RASC-AL is no longer held, so the team now competes in the University Rover Challenge, which is an annual competition among college students to build the next generation of Mars rovers. Last year, the team placed No. 23 out of 80 teams that applied in the competition. “It’s a much bigger competition,” Over said. “It’s a much, much, more difficult competition in that we have to build a bigger rover that does more things.” This year’s rover, named SAMMI — Sooner Aided Mobile Mars Inquirer — boasts easy-to-use systems to carry out its mission, like what Over called the mirrored-arm system. Former OU President David Boren. Former vice president for University Development Tripp Hall. Copyright 2015, Newspaper Enterprise Assn. This year is about choices, attitude and doing your best. Surround yourself with individuals who complement what you have to offer. Distance yourself from negativity by disengaging from people who make your life difficult. Turn your ideas into reality. To a friend with mental illness, your caring and understanding greatly increases their chance of recovery. Visit whatadifference.samhsa.gov for more information. Mental Illness â&#x20AC;&#x201C; What a difference a friend makes. ARIES (March 21-April 19) -- Youâ&#x20AC;&#x2122;ll make the best impression by avoiding gossip, indulgent behavior and overreaction. Fitness, hands-on help and a positive attitude will be what attract the people you want to associate with. TAURUS (April 20-May 20) -- If you follow your heart, you will find your way to victory. Only express your thoughts and feelings to those you know you can trust. Moderation should be adopted. brief the Board of Regents and OU President James Gallogly on its progress for the first time on Tuesday in an executive session. At the February Board of Regents special meeting, chair Leslie Rainbolt-Forbes made a statement following hours of discussion in executive session that Gallogly was not involved whatsoever in the investigation. This briefing will now cement the relationship between the university and Jones Day as one of client and employee, rather than contractor and independent entity. The contractual relationship between the â&#x20AC;&#x153;unaffiliatedâ&#x20AC;? law firm and the university is why one of the accusers, OU graduate Jess Eddy and his civil advocate, Sara Bana, said they have â&#x20AC;&#x153;no faith, whatsoever, in Jones Day conducting this investigation.â&#x20AC;? If the university wants to conduct this investigation â&#x20AC;&#x153;independentlyâ&#x20AC;? with a law firm they have paid nearly $300,000, transparency on how the investigation is being conducted is vital to ensure it is as unaffiliated as they say it is. Instructions: Fill in the grid so that every row, every column and every 3x3 box contains the digits 1 through 9. That means that no number is repeated in any row, column or box. on getting along with others and getting things done, not on wasting time arguing. Concentrate on personal improvement, keeping the peace and enjoying life. LIBRA (Sept. 23-Oct. 23) -- Expand your mind, improve your friendships and take better care of your emotional and physical well-being. Donâ&#x20AC;&#x2122;t neglect your responsibilities or take on more than you can handle. SCORPIO (Oct. 24-Nov. 22) -- Surround yourself with people you connect with personally, physically and emotionally. The changes you bring about in collaboration with people who share your vision will encourage you to be more active and get more done. SAGITTARIUS (Nov. 23-Dec. 21) -- Execute your plans passionately and trust in your talent and abilities. Walk away from anyone playing mind games or trying to manipulate you. Truth matters, so recognize when you are being misled. CAPRICORN (Dec. 22-Jan. 19) -- Change your lifestyle to suit your needs in order to feel happy about your future. The past will reveal exactly what you need to know to make the best choice. AQUARIUS (Jan. 20-Feb. 19) -- Put your heart and soul into doing things that will make your home more inviting and convenient. Selfimprovement, fitness and proper eating habits are favored. PISCES (Feb. 20-March 20) -- Use your imagination to help you become more efficient, well-rounded and on top of your game. A positive change shouldnâ&#x20AC;&#x2122;t cost a lot or cause stress. Do what you feel works best for you. 38 Anagram of 13-Down 39 Car loan initials 40 Take legal action 41 Buys funds, say 44 Tony Starkâ&#x20AC;&#x2122;s alter ego 45 Like a gymnast 46 Telephone pole sign 48 Fin de ___ 50 Prophet 53 Briefly unplug, perhaps 54 Tether 57 Greek earth mother 58 â&#x20AC;&#x153;Wanna make ___?â&#x20AC;? 59 Texterâ&#x20AC;&#x2122;s â&#x20AC;&#x153;Just a secâ&#x20AC;? 60 Tire-changing org. 61 â&#x20AC;&#x153;The Americansâ&#x20AC;? spy grp. The video game character Mega Man is known for saving the world. Lesser known is the role the chara c t e r p l a y e d i n s av i n g Raheem Jarbo’s life. Jarb o, an Amer ican rapper known under the s t a g e n a m e Me g a R a n , said the reason he is alive to perform music today is due in large part to video games, and he even plans to include the statement in the first lines of his autobiography. “It’s not hyperbole in any way because there’s literally been times where I decided to stay at home and play video games, either with my friends or even by myself, and it’s kept me away from situations that could have been dangerous or troublesome in any other way,” Jarbo said. The character and the games Mega Man belongs to are the reason Jarbo chose the stage name Mega Ran. The rapper will perform at Norman Music Fest at 10 p.m. April 26 at the West Stage presented by The Winston. Among the music played will be his signature “chip-hop,” a blend of hip-hop and chiptune, which is 8-bit video game soundtrack music. He grew up with these sounds. Jarbo found video games at a young age. As a kid growing up in Philadelphia in the ‘90s, it was the easiest way for him to stay away from drugs and violence, he said. Even away from home, Jarbo and his peers found their haven: playing video games, reading comics and trading cards under their teacher’s watchful eye during recess. The rapper’s first rhymes i n c l u d e d re f e re n c e s t o video games. His music career began on a friend’s front porch in the summer of 1994. T h a t s u m m e r, J a r b o wrote his first couplet of rhymes, inspired by the talents of up-and-coming artists such as Wu-Tang Clan and Snoop Dogg, whom Mega Ran would later open for and tell Jarbo, “Keep going, nephew.” “(My rhyme) was pretty terrible,” Jarbo said, “I remember it being the worst of the crew ... But in that song though, I made references to ‘Street Fighter.’ I remember saying, ‘I sonic boom like Gao.’” Jarbo performed under the name Random for a majority of his early music career while pursuing higher education. He attended Penn State University to double major in English and African American studies. Raheem Jarbo, stage name Mega Ran, will perform at Norman Music Fest at 10 p.m. Friday, April 26, at the Winston West Stage. LETZEISER HONOR LIST AND MEDALISTS PRESIDENT’S AWARD FOR OUTSTANDING TRANSFER STUDENTS Recognizing excellence in the areas of scholarship, character, leadership and service to the university community. This award is the highest honor bestowed to transfer students by the university community. Recognizing excellence in the areas of scholarship, character, leadership and service to the university community. This award is the highest honor bestowed to freshmen by the university community. Recognizing excellence in the areas of scholarship, character, leadership and service to the university community. This award is the highest honor bestowed to sophomores by the university community. The Letzeiser Awards are presented annually in memory of the late Alexander Letzeiser as a stimulus of good citizenship and achievement. These are the highest awards presented during the Spring Campus Awards Program. The selections are made each year by a student/faculty/staff committee and are based on leadership, scholarship, and service to the university. Recognizing excellence in the areas of scholarship, character, leadership and service to the university community. This award is the highest honor bestowed to juniors by the university community. Top 1% of the freshman class recognized for participation, academic achievement, community service and excellence. He seemed fully ready to start his career at Oklahoma. Until he wasn’t. “It looked a little uncertain there toward the end,” Prince said. “But then coach Stoops showed up.” BOB STOOPS jumped out of the passenger seat of Mike Stoops’ car when he saw Brown walking across Union’s campus. Just days earlier, Brown had decided he would visit Florida the weekend before national signing day. The then-Oklahoma commit was fr ustrated that the Sooners continued to offer other cornerbacks, d e sp i t e h i s ow n st ro ng commitment. When Stoops got word of Brown reconsidering his commitment, he, Mike and Cooks decided to make a trip to Tulsa to see Brown. Wearing an OU pullover and a pair of penny loafers that Prince will never forget, Stoops hopped out of Mike’s moving car and jogged over to Brown and his dad. “Those damn penny loafers,” Prince said. “When he couldn’t wait for the car to stop and then came running over to see us in those shoes, I knew how bad they wanted Tre.” Brown still went to Florida that weekend. He left Oklahoma fans on edge the following days, sending a couple one-word tweets the night before signing day: Business and Stressed. Then-junior linebacker Caleb Kelly Nov. 10. Junior Maggie Nichols performs on beam March 3. Senior Yul Moldauer waits to perform March 9. The team won its conference champinship and will advance to the NCAA Championship. my career with that, it was special. I’ll always remember that moment.” The Sooners won the meet with a total of 420.500, topping Stanford, Cal and Air Force who posted 418.550, 394.700 and 382.200, respectively. Williams was proud of his team’s ability to persevere throughout the meet and overcome the slow start. “ We w e re ha n g i n g i n there all night,” Williams said. “Wrapping things up the way on high bars with the last three guys was just awesome. We do have some things we need to work on. If we’re gonna start on floor, we gotta do better there. We can’t give away one of our strongest events. Senior Caleigh Clifton slides into third base in the game against Baylor on April 7.